Catherine Dunn "Cat Morningstar" Feb. 18, 1952 - Jan. 24, 2010 | Resident of Hayward As one door closes, another one opens. Cat began her new journey on Jan. 24, 2010 She is preceded in death by her parents Earl and Patricia Dunn. Survived by her brother Patrick Dunn and sister Lisa Dunn Golloian. Auntie to Erin Kwasinski. Great Aunt to Ayden and Anakin. She is also survived by two specials sisters, Susan Condon and Kim Kelly. Cat was a woman with many spiritual gifts. Cat was an ordained minister, certified hypnotherapist, healer and teacher. She had clients throughout the U.S. Our loss is God's gain. You are greatly missed and will always be loved. DANCE, JUMP, RUN AND BE FREE. A memorial service and potluck will be held on Sat., Feb. 6, from 1-3pm at 38583 Granville Drive, Fremont. OAKLAND — A 17-year-old who killed a 66-year-old grandmother by crashing a stolen car into a vehicle in which she was a passenger was charged Monday with murder and vehicular manslaughter while intoxicated, Alameda County Chief Deputy District Attorney Tom Rodgers said. Chinook Bacon, who will be charged as an adult, will appear this afternoon to formally hear the charges filed against him for the crash Thursday, in which Bacon is accused of driving a stolen Toyota into a car driven by a 68-year-old man with the grandmother and another 45-year-old woman as passengers. The man and the other passenger survived the crash but Barbara Mitchell, of Oakland, was killed. "I am relieved he is going to be prosecuted as an adult, but I am still waiting for the outcome," said Sharron Mitchell Drake, Mitchell's only child. "I want him to spend a lengthy time in prison and not just get a slap on the wrist. I want those young men to pay for what happened to my mother." The crash was sparked, in part, because Bacon feared that he had been spotted by Oakland police officers as he was driving the stolen car in a "sideshow manner," Rodgers said. Bacon sped away even though Oakland police said they had not actively chased him. Eventually, Bacon drove his car at high speeds through two stop signs, hitting the car Mitchell was riding in at the intersection of 62nd Avenue and Foothill Boulevard, police said. "He saw the officers and then accelerated dramatically," Rodgers said. "The officers had him going from 85 to 100 miles per hour and he admitted himself that he was going 80 to 85 miles per hour." Police said Bacon admitted that he was high on marijuana when he crashed the car. In addition to the murder and vehicular manslaughter charges, Bacon was charged with auto theft. 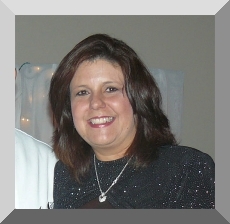 Joyce Frei Walsh passed passed away Nov. 30 heart failure due to kidney failure. She worked at the Fremont Plant in Customer administration. She worked under Katherine Mecker (not sure that is how Katherine spells her name) and then she worked for Cynthia King. Joyce lived in Fremont. John Barrett worked in Rochester, then Texas, Fremont and then Pleasanton. 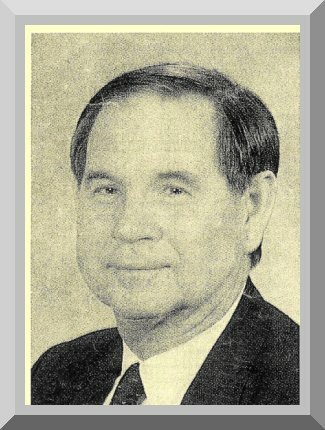 I believe he worked under Tom Holinski in Fremont, then Bob Mumford in Pleasanton. He passed away (I believe) sometime in the third week of November. John died of cancer. He lived in Pleansanton up until he retired and then moved to Lodi. Submitted by Gail Sidvers and Anita Peirce on Dec. 17, 2009. CLIFTON LYNN WADE Cliff, beloved son of the late Bert and Betty Wade, passed away peacefully November 15, 2009, at his home in Yuma, Arizona, with his wife, Judy, daughter, Tracy and Judy's sisters, Jackie and Candy at his side. Cliff was born in Oakland, California on April 28, 1948 and was raised in the San Francisco Bay area until his retirement as owner and president of Scientific Metal Corporation in Santa Clara, California. Cliff served in the U.S. Army for three years. Cliff was the beloved father of Tracy Ann Hanover, son-in-law of Robert Shanon Hanover, along with being a grandfather to Christina Ann Hanover, and delightful great-grandson, David Shanon Flanagan, and step-father to Brenda Jean Gersch. Cliff was a member of the Old Codgers and Escapees RV Club. He traveled around the United States exploring and socializing with his friends. You would most likely see him fishing, playing the guitar or most important to him, cleaning his RV. As he rests in peace, he will be deeply missed by all. She was Kim Hart when at Xerox. A helicopter crash on July 23 robbed Frederick County of a friend, an inspiration, a mother and a wife. But rather than mourn the death of Kim Felix, 48, of New Market, the people she touched gathered Thursday to celebrate the person she was, the life she lived, and the promise that they would be reunited in eternity. At Felix's funeral, held at the Evangelical Lutheran Church of the Redeemer in Damascus, her friends and family remembered her as a "whirlwind," a woman who was always busy networking, helping her church, shuttling children from one activity to another, and having fun. The Rev. Richard Fredericks reminded Kim Felix's friends and family of her youth in Castro Valley, Ca., where she was a model and beauty pageant winner and named Miss Castro Valley while in high school. Kim Felix was an avid athlete, playing softball, soccer, volleyball and skiing, both on the mountains and on the water. She once raced an ostrich. Even her daughter, Breana, said she had difficulty believing that until she saw the picture. "Knowing Kim, after the race that must have been one tired ostrich," Fredericks said. The crash made Don Felix of New Market a single father, left to care for three girls without his wife and best friend. At the funeral, Don Felix remembered that he could not walk down the street in Frederick with his wife without meeting someone she knew and stopping to talk. He joked that she would hold people hostage with conversation. He said that if they were riding in an elevator with someone Kim didn't know, by the time they reached the 16th floor, "phone numbers would be exchanged and a lunch date would be set." "She never met a stranger," he said. He said his main concern now is caring for his daughters and making sure they turn out to be the kind of women their mother taught them to be. Breana McKinnon, Kim Felix's daughter from a previous marriage to Keith McKinnon, said that though her mother was gone physically, she would survive through her younger sister Alyssa McKinnon's "spunky attitude" and her sister Cameron Felix's spirit and love for animals. Breana, who will attend Salisbury University in the fall, said her mother inspired her to achieve academically and graduate high school with honors. Breana remembered her mother telling her when she got her first acceptance letter from Towson University that she had achieved this by herself. Breana said she was "not the kind of person to wear her religion on her sleeve," but she said she had faith that she would be reunited with her mother in Heaven. "I can't wait to see you again," Breana said. After the service, friends and family gathered at Café 611 in Frederick, where Kim Felix was employed as a publicist, to remember her. Randy Jones, owner of Café 611, said he talked to Felix 30 minutes before the helicopter carrying her home from a meeting in Hagerstown crashed on Interstate 70. He said he remembers her saying that she did not want to get on the helicopter because of the bad weather. Jones said he offered to come and pick her up once the storm in Frederick let up that night. He said he was proud to have known Kim Felix, whose work marketing and hosting toy drives and a Thanksgiving meal for the homeless helped garner the Maryland Restaurant Association's Neighbor Award, which recognizes restaurants which excel in community service. Mayor Khidhr, one of Kim Felix's co-workers from Café 611, said he loved the way she would introduce herself to people. "She would say my name is Kim Felix, like Felix the Cat," Khidhr said. He said Kim Felix was an "angel," who respected people regardless of the race or background. "She embodied what America is about: no color lines," he said. In addition to Felix, Niall R.Y. Booth, 43, of New Market, Jeffrey D. Nordaas, 24, of Columbia, and George H. Tutor Jr., 39, of Westminster, also died in the crash near the Washington-Frederick county border. Nordaas was the pilot for the trip, which was on behalf of the Advanced Helicopter Youth Foundation, the charitable arm of Advanced Helicopter Concepts of Frederick. The four were returning to Frederick from Hagerstown, where they were meeting with the Hagerstown Business Association, which was working with business people to raise money and awareness of mental health and drug problems in teenagers. Nordaas was the pilot, and had been a flight instructor for the company since February. He was rated as a pilot for both airplanes and helicopters. The National Transportation Safety Board is still investigating the crash, and does not expect to determine its cause for at least a year. Advanced Helicopter Concepts plans to hold a memorial ceremony at 6 p.m. Wednesday in its hangar at Frederick Municipal Airport, 330 Aviation Way. October 28, 2009 -- Barbara (Johnson) Ruibal Resident of Colfax Barbara Ruibal, formerly of Fremont, passed away October 23, 2009 at her home in Colfax, CA after an extended illness. She was born July 9, 1935 in Stillwater, MN to Helen and Corday Johnson, Sr. In 1937, her family moved to Hayward, CA where she attended Cherryland Elementary, Bret Harte Junior High and graduated from Hayward High in 1953. Barbara's working career included hairdresser, payroll administrator for Xerox Corp. and bookkeeper for a local tax accountant. In 2000, she retired and relocated to Colfax where she was active in various community organizations and enjoyed her volunteer work at the Chamber of Commerce and a local thrift store. In 1964, Barbara married Lueben Ruibal, had 2 children and eventually settled in Fremont. 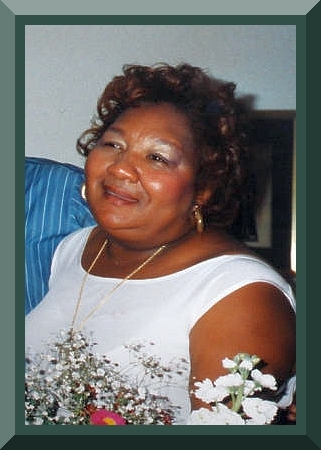 Barbara was preceded in death by both parents, her husband and a brother, Corday Johnson, Jr. She is survived by her son Michael Ruibal of Grass Valley, CA and her daughter Lisa (Ruibal) Aguilera of Tracy, CA, four grandchildren who affectionately called her Grandma Toodles: Robert Ruibal of Turlock, CA, Rochelle Ruibal of Jamestown, CA, Autumn Aguilera of Tracy, CA and Thomas Aguilera of Tracy, CA, her brother David Johnson of New York and her sister Linda (Johnson) Jackson of Chicago Park, CA and numerous nieces, nephews, cousins and many dear friends. A celebration of Barbara's life will be held at 1:00PM Sunday, November 1, 2009 at Shady Glen Estates, 450 Gladycon Road, Colfax, CA. In lieu of flowers, donations may be made to the American Cancer Society or Sutter Auburn Faith Hospice, 11795 Education Street, Auburn, CA 95603. The Clubhouse is located on the right hand side (next to the pool) a little ways down as you enter Gladycon Rd. For those of you that are coming and would like to help out as far as food goes, Lisa said that would be fine. She would like to keep it simple with Casseroles, Salads or Desserts, whichever you prefer and she appreciated the help. Also, in lieu of flowers the family prefers donations to the American Cancer Society or Sutter Auburn Faith Hospital Hospice (11815 Education St. Auburn, Ca. 95602) in Barbara's name. For those of you that want to send cards to the family the address is the same as in Colfax only add #121 to the street address. Resident of Fremont S. Thomas "Tom" Poole of Fremont, CA passed away at his home on September 22, 2008. An aggressive cancer was found less than a month earlier as a result of him seeking medical advice for general fatigue. He was the son of the late Stuart G. Poole and Lillian B. Poole of Hayward, CA. He is survived by his younger brother Robert D. Poole, his niece Abigail V. Poole and his nephew Andrew A. Poole. Times for visitation have been scheduled for Wednesday, October 8 from 5 to 9 PM and for Thursday, October 9 from 10AM to 9PM in the main chapel of the Lima Family Milpitas - Fremont Mortuary, 48800 Warm Springs Blvd., Fremont, CA 94539, (tel. 510-656-5565). In addition, a memorial service will be held for Tom on Friday, October 10, starting at 2PM at the Centerville Presbyterian Church, 4360 Central Avenue, Fremont, CA 94536 (tel. 510-793-3575). Tom's remains will be interred at the Sierra Mountains Cemetery in Truckee, CA. After a dozen years @ Xerox, 8 @ several companies that no longer exist, and 16 @ Apple, I moved to Thailand and retired. After one year, I accepted a job offer from Dell Computer, and moved to Shanghai for a couple years. After the contract ended, I moved back to Bangkok, and have spent a lot of time working in movies and commercials. All in all, a great retirement. Unfortunately, I won't be able to attend the reunion but, if you ever make it to Bangkok, be sure to email me. Movies: Khabali Hai Khabali (an Indian epic in post-production), and untitled Indian epic (in post-production), an untitled Japanese flick (currently filming), "Street Fighter" (post-production), and "Shanghai" (currently filming). "Street Fighter" will be released in the US in mid-January, 2009. MARIA ELENA MCGINNIS--Maria passed away peacefully on Sunday, January 13 at Kaiser Hospital surrounded by her family at the age of 66. Maria was born on July 26, 1941 in Denver, CO to Louise and Ruben Esquibel. A Californian for over fifty years, she was raised and lived in the local area graduating from San Lorenzo High School in 1959 where she met her future husband, Ray McGinnis. They were married in 1962 and together raised three children. Maria retired from Xerox, and went on to a second career driving a school bus for Durham Transportation and Head-Start. For anyone that had the pleasure of knowing Maria they knew that she was one-of-a-kind. She was a real take-charge woman, whether it was planning a wedding, shower, or an everyday get together. She was the one that everyone relied on, and took orders from! She took great pleasure in scrapbooking, collecting carousels, playing bingo and bunco, family poker games and yearly trips to Yosemite with her family. She is survived by her loving husband, Ray, son Myles of Hayward, daughters Monica DeMain and her husband Ken of San Ramon, and Jessica Vollmer and her husband Nathan of Hayward. She was an adored grandmother to Nicole and Justin McGinnis, Karly and Madison DeMain, and Raelyn and Shane Vollmer. Her beloved mother Louise Salas of Hayward, sister Marsha Berry of Ripon and Brother Ruben Esquibel of Cheyenne, WY, also survives her. She was the favorite aunt and great-aunt to dozens of nieces and nephews as well as a friend to many. Her genuine sense of humor, compassion and giving nature will be truly missed everyday by so many. A memorial service will be held at Jess C. Spencer Mortuary in Castro Valley on Saturday January 19, 2008 at 11:00 am. (510) 581-9133 A reception will follow at Weekes Park Recreation Center in Hayward at 2:00 pm. Both services are open to any and all who would like to attend. Published in the Times-Herald on 9/25/2007. September 2007 - Jim Armelin passed away on September 5, 2007 in Tucson, Az. There was only a private family service per Jim's request. send to American Cancer Association in Bruce’s memory. December 18, 2006 - Rose Olberg passed away suddenly and unexpectedly Wed., Dec. 13th. She lived in Hayward and retired from Xerox in the same division where sons Gary, Greg and Danny were employed. Dec 23, 2006 UPDATE: ROSE MARIE OLBERG Age 86, entered into peaceful rest December 13, 2006 at her home in Hayward, California. She was a life-long resident of Hayward, having been born and raised on Crow Canyon Road. After 46 years of marriage, she was pre-deceased by her beloved husband, Charles. She was also pre-deceased by her 8 brothers and sisters. Rose is survived by her son, Gary; son Gregory; daughter-in-law, Teri; daughter, Denise; son, Daniel; son Charles D.; grandchildren, Jebin, Lindsay, Shane, Dylan, Joseph, Michael, Brie, Jeffrey, Andrew, and Tyler; great-grandchildren, Anthony, Shayla, Laura, Breanna and Sarena. She enjoyed daily walks, holiday decorating, dancing, cooking, gardening and sewing. She was a member of the YLI and the Hayward Historical Society and spent her youth as a USO volunteer, young motherhood as den mother, team mother and room mother. Rose will be remembered for her love of family gatherings, especially the 49er tailgate parties, her big heart, readiness to help those in need and by the wonderful memories of all who knew her. February 2005- Sandy Underwood passed away in Washington Hospital where she had been in a coma since she was found unconscious in her home. Dave Metcalfe has succumbed to his illness and left us for a better place. He passed away peacefully at home surrounded by his family on February 15, 2005. Dave is survived by his wife Jean, his daughter Donna and her husband Craig Gaudreau, his daughter Jody and her husband Todd Brown, his son Todd Metcalfe and his wife Shelly, his son Tony Gallaway and his wife Brieanne, and sons David Metcalfe Jr., and Mark Gallaway, his brother Edwin Metcalfe and 8 grandchildren. A memorial service was held at 3pm on February 21, 2005 at the Farmington cemetery in Utah not far from his home.